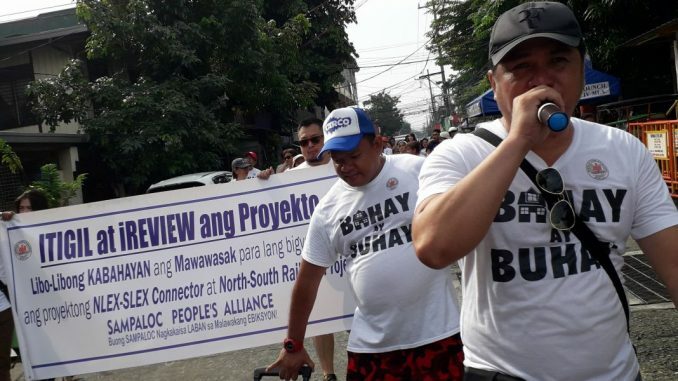 Exactly a month after they first marched in protest tothe NLEX-SLEX Connector and the Philippine National Railway (PNR) North-South Railway Project, residents of communities in Manila facing the threat of eviction from their homes conducted a ‘Holiday March’ to reiterate their call for the government to stop the construction of the projects and to review its implementation. 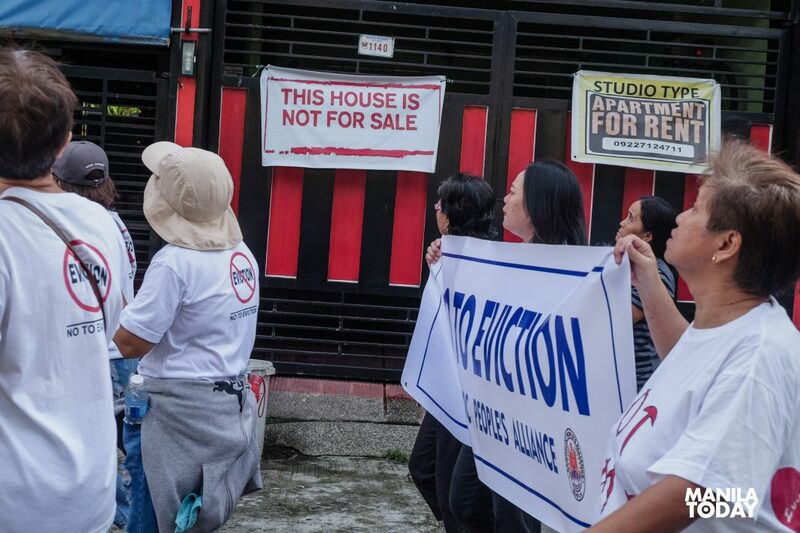 Private home owners, barangay officials, associations, renters, and urban poor residents paraded along areas that will be affected by the said project. The group marched along Algeciras Street calling out to fellow residents to join the campaign versus the ‘twin project’. 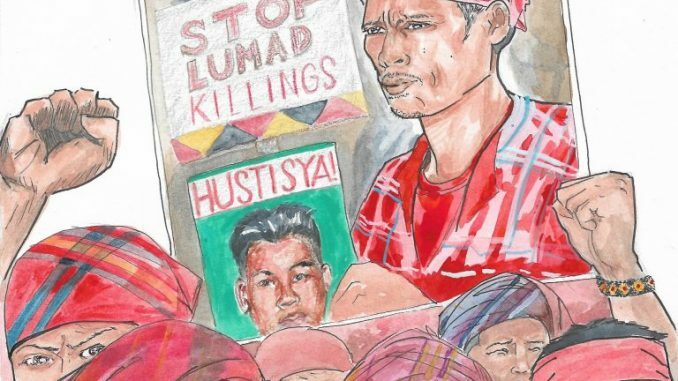 “Hindi naman konsultasyon ‘yung ginagawa ng pamahalaan,” said Ronnie Isaac, spokesperson of Sampaloc Peoples Alliance. “Tinitipon nila ‘yung mga residente para lamang alukin ng loan assistance. Binibigyang katwiran lamang ng gobyernong ito yung gagawing pagpatag sa aming mga tahanan,” he added. Owners of houses that will be affected by the ‘twin project’ supports the call to stop and review the construction of the said projects by posting signs outside their homes saying, ‘This house is not for sale’. 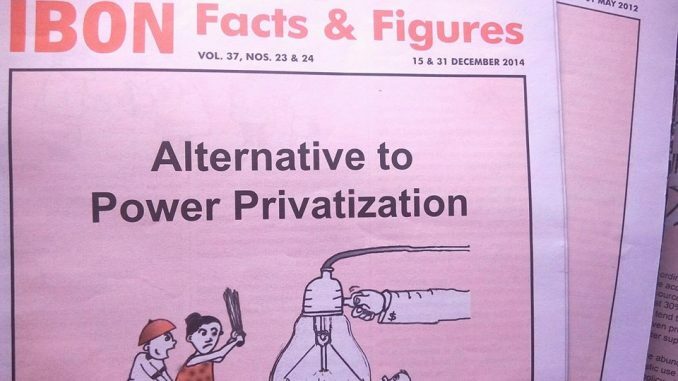 The group challenges the Duterte administration to stop and review the said project and reconsider the appeal of the local residents to realign the construction to areas that will not flatten communities. “Handa kaming makipagdayalogo sa pamahalaan upang maiparating ang aming pagtutol sa pagpatag sa aming mga tirahan. Hindi kami mapapagod na lumaban para sa karapatan namin sa paninirahan. Patuloy kaming magkakaisa at mananawagan hangga’t nananatiling bingi at bulag ang administrasyon sa karaingan ng kanyang mamamayan,” Isaac said. After the program, the group continued to march to Hipodromo St. in Sta. Mesa to join the residents there who were conducting a meeting to express their solidarity with them. “Nakikiisa kami sa laban ng lahat ng mga residente kontra sa ebiksyon at upang ipanawagan ‘yung ating mga karaingan sa pamahalaan,” stated Emerson Adapon, resident of Sampaloc. “Huwag tayong matakot lumaban para sa ating mga karapatan. Magkaisa tayo at palawakin pa ang ating hanay,” he added. 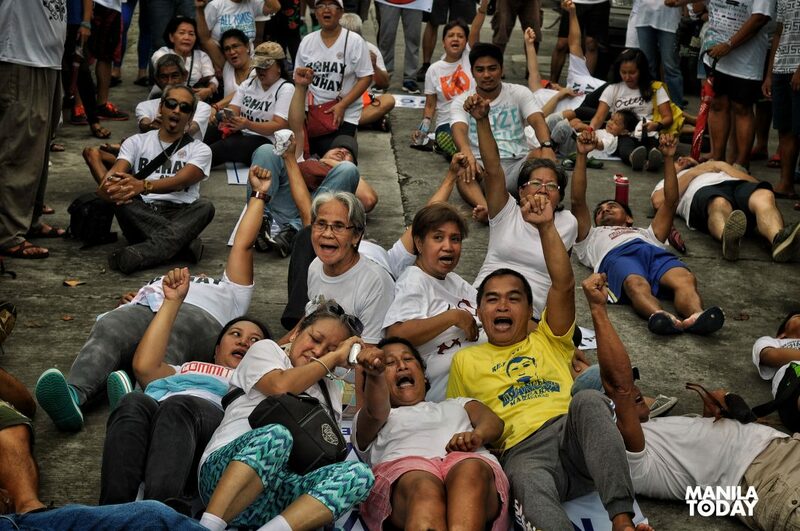 The post Manila residents march vs impending eviction threat appeared first on Manila Today.